Ali al-Naimi was the most powerful man in the oil business for two decades -- until this weekend. As the oil minister of Saudi Arabia, in control of the largest proven crude reserves in the world, al-Naimi was the de-facto leader of OPEC. At one point he held three key positions at the same time: Minister of petroleum, chairman of Saudi Aramco and chairman of Saudi's Supreme Petroleum Council. In a word, he called the shots, and he let other OPEC ministers know just that. The past year and a half had been particularly important, as oil prices crashed and oil-dependent countries looked to Saudi Arabia to lead the effort to support prices. Al-Naimi pivoted the other way. No longer would Saudi Arabia cut its oil production to lift prices, he told CNNMoney outside a meeting of oil producers in December 2014. 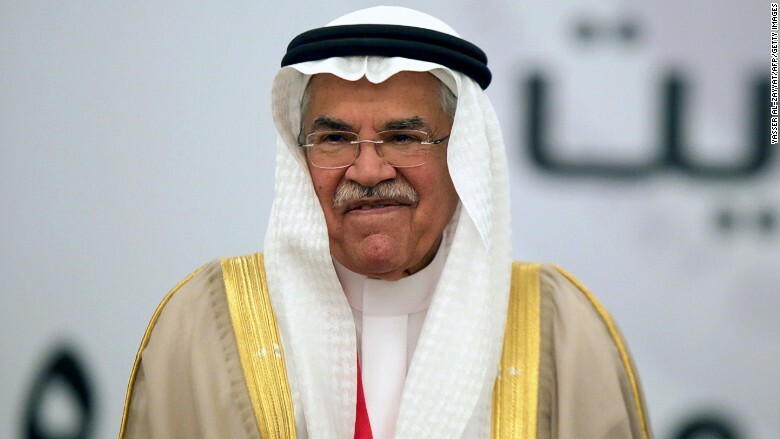 Saudi Arabia ended oil minister Ali al-Naimi's reign, seeking to limit damage from crashing oil prices. His strategy instead was to protect Saudi Arabia's market share, even if the falling prices bruised its economy as well. "If they (non-OPEC producers) want to cut production they can cut. We are not going to cut, certainly Saudi Arabia is not going to cut," said al-Naimi at the time. But many saw the minister's authority fading quickly. This was on full display at last month's meeting of OPEC and non-OPEC ministers in Doha. While al-Naimi still wasn't going to cut production, he had planned to freeze it. 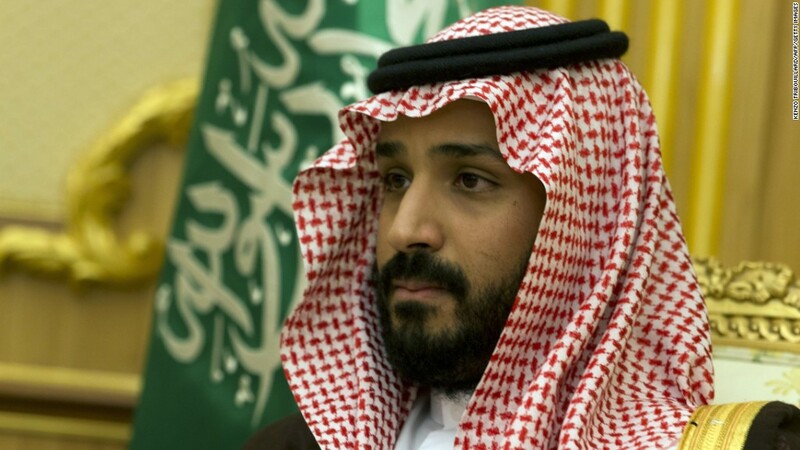 But then he had to reverse course when the 30-year-old Deputy Crown Prince, Mohammed bin Salman, said Saudi Arabia would not budge unless regional arch-rival Iran agreed to do the same. Iran said no, al-Naimi's deal fell apart -- much to the dismay of 17 other ministers who hauled themselves to Qatar. Fast forward three weeks and by royal decree, the 80-year-old minister was out of a job. The changes are part of a much wider and ambitious plan to shake up the economy under the label "Vision 2030," which includes diversifying the economy away from oil and reducing government control. The change isn't completely radical. The new oil minister, Khalid al-Falih, is well known in the world of oil. He was the chief executive of Aramco for six years between 2009 and 2015, and is the current chairman. In January, he told a CNNMoney energy roundtable at the World Economic Forum, that the Kingdom was well prepared for the Saudi led fight for market share. "If prices continue to be low we will be able to withstand it for a long, long time. Obviously we don't hope for that, but we're prepared for it," said al-Falih. That is why most don't believe there will be a big change in oil policy by the Kingdom. But investors will appreciate his steady hand as Saudi Aramco makes a move to be more transparent as it prepares for a partial IPO. Strategists I spoke with said it was important that the Kingdom did not break tradition, appointing another technocrat to run the ministry and not a member of the royal family. Perhaps most importantly, internally he has earned the trust of the Deputy Crown Prince, the man who these days is calling all the shots.